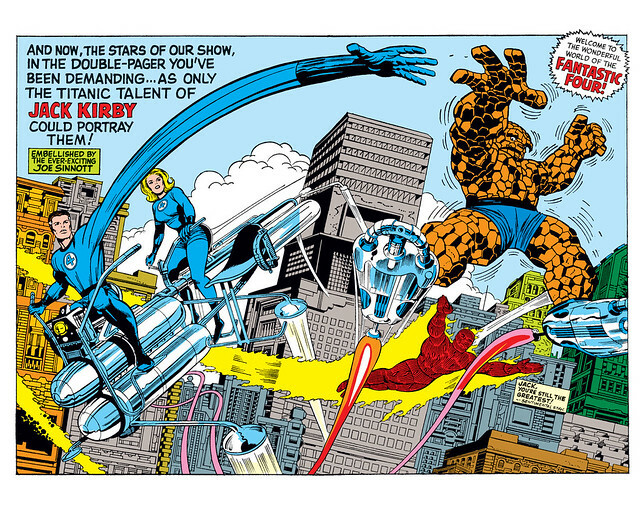 The Thing on some cosmic sky-blades designed by Reed Richards. He balances on them just as well as any rookie on skates. Nuff Said! I have the black light poster (produced by Third Eye) of this image. I won it at a carnival many, many moons ago. Wow! Didn't know they did a Black Light of this double page spread. That must have been groovy. Thanks Bill! I will send you a no-prize for that.